Prof. Amiya Dasgupta was born in Barisal, East Bengal on Oct. 12, 1924. He was a distinguished North Indian musician, an artist on the sitar and surbahar, a teacher of vocal music, sitar and other Indian instruments and a composer in Indian classical and European classical forms. 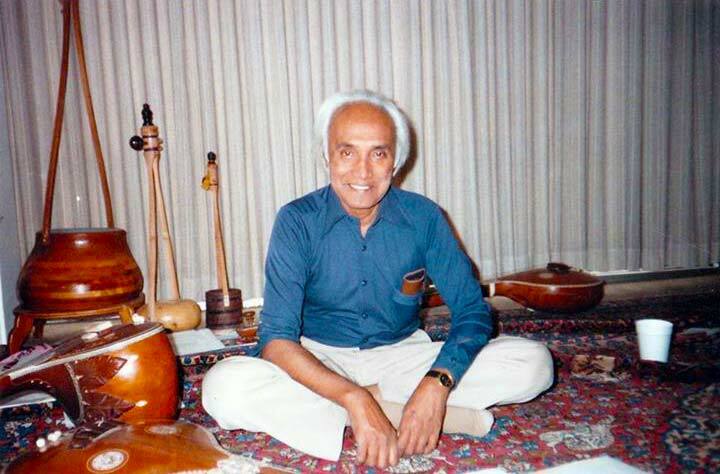 He directed the Ravi Shankar Kinnara School of Indian Music in Bombay for six years, and later the Los Angeles branch. 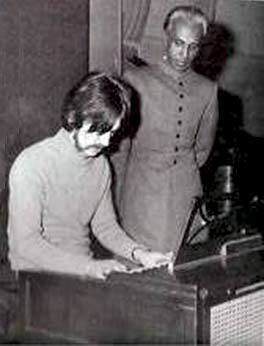 Afterwards Amiya founded his own Sangeet School of Indian Music in Hollywood, CA. Amiya was one of Pt. 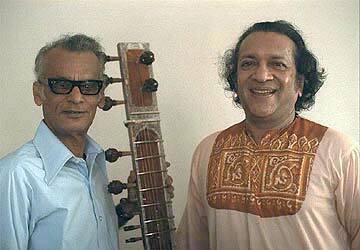 Ravi Shankar's earliest and most devoted disciples. 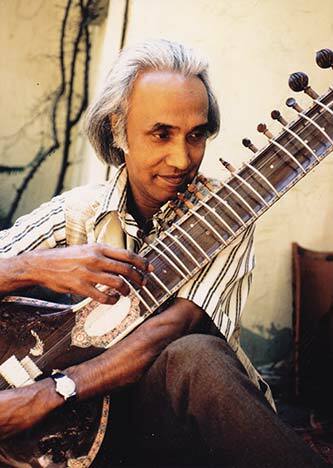 He was associated with the celebrated sitarist for more than 40 years. 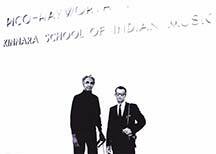 Dasgupta assisted Shankar as an instructor of Indian music history at City College of New York and performed on numerous projects, including the recordings 'Festival From India' and 'Anthology of Indian Music'. Dasgupta wrote the manual of the Ravi Shankar book 'My Music, My Life' and edited 'Ravi Shankar Teaches'. He accompanied Shankar and Yehudi Menuhin in the E.M.I. recording 'West Meets East, No. 3'. Amiya taught at California Institute of the Arts for 20 years, where he was deeply loved by both students and faculty. At CalArts, Amiya founded and conducted the 'North Indian Music Ensemble', and composed many wonderful orchestral compositions for the group in numerous ragas and talas. His understanding of Indian classical music was vast and deep, and he generously imparted his knowledge to his many students with patience and affection. Amiya was also a talented painter and quite a good cook. Amiya-da was known for his warmth, generosity, kindness and humor. Our revered guru and dear friend Amiya passed away on May 23, 1994. Amiya taught at California Institute of the Arts for 20 years, where he was deeply loved by both students and faculty. At CalArts, Amiya founded and conducted the 'North Indian Music Ensemble', and composed many wonderful orchestral compositions for the group in numerous ragas and talas. His knowledge and understanding of Indian classical music was vast and deep, and he generously imparted it to his many students with patience and affection. Amiya was also a talented painter and quite a good cook. Amiya-da was known for his warmth, generosity, kindness and humor. Our revered guru and dear friend Amiya passed away on May 23, 1994. 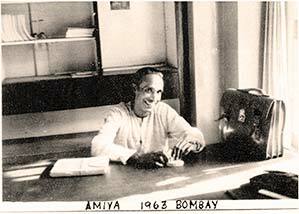 Amiya in Bombay - 1963. 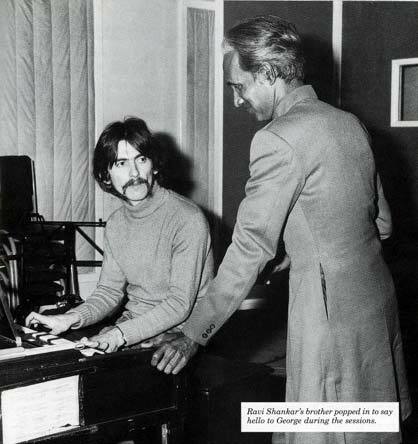 Amiya with his old friend George Harrison ~ 1967. 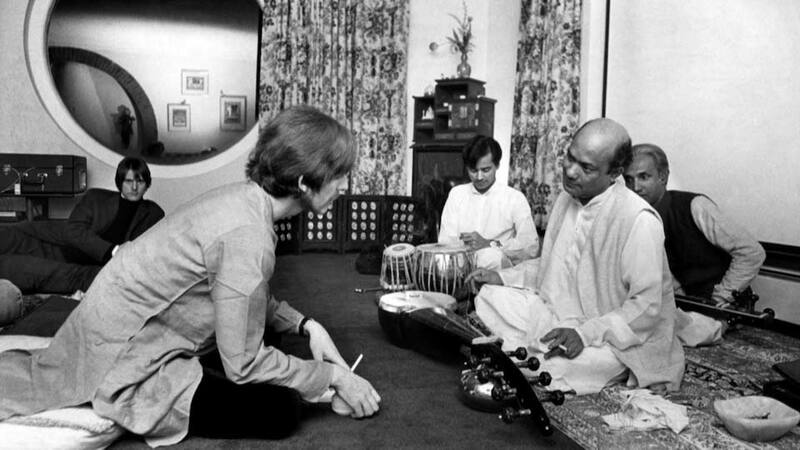 Pandit Nodu Mullick (right) was an expert craftsman who created and maintained the sitars Pandit Ravi Shankar performed on. He was also one of the first tabla disciples of Pandit Gyan Ghosh. 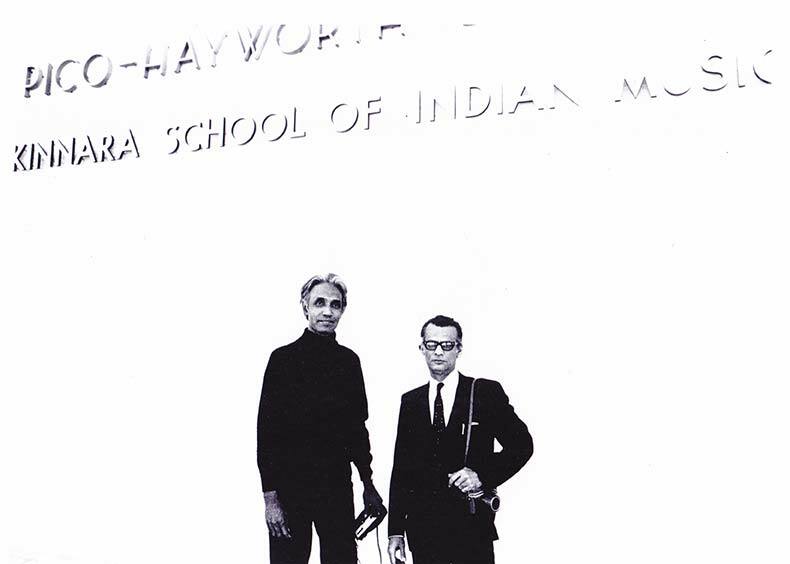 This photo shows him with his longtime friend and colleague Prof. Amiya Dasgupta (left) outside the newly opened Kinnara School of Music in Los Angeles ~ 1968. 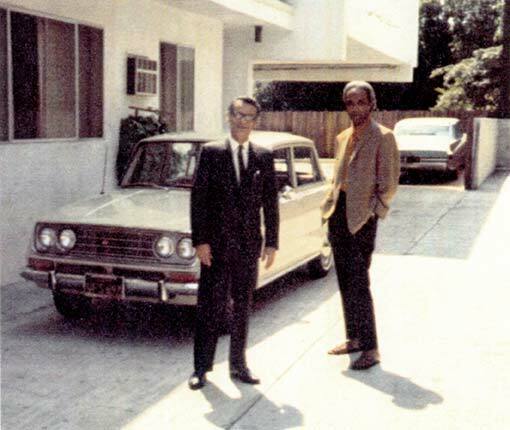 Nodu and Amiya outside their apartment in Sliverlake or Echo Park ? 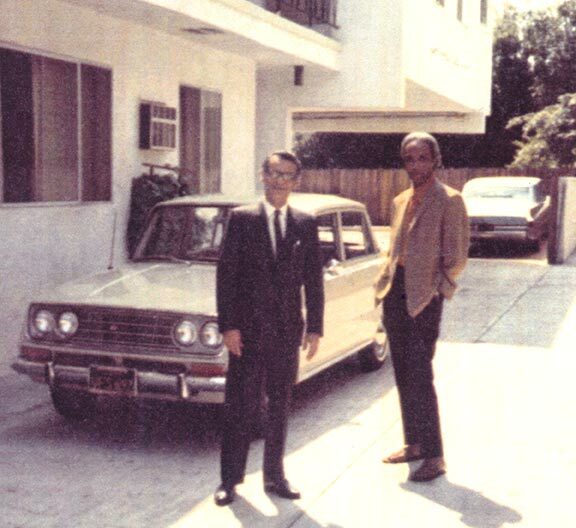 (Los Angeles) ~ 1968. 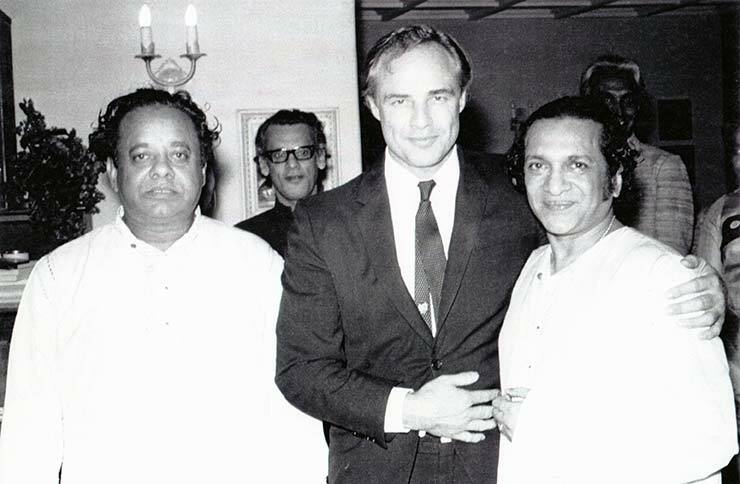 'The Party' - Alla Rakha, Nodu Mulliick, Marlon Brando, Ravi Shankar, Amiya Dasgupta ~ 1968, Los Angeles. Rich à la Rakha recording session - Colin Walcott, Nodu Mullick, Alla Rakha, Shamim Ahmed (? 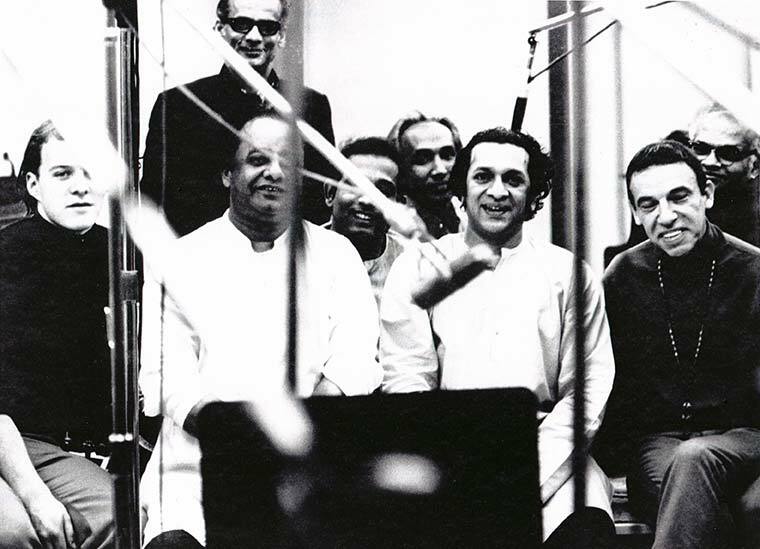 ), Amiya Dasgupta, Ravi Shankar, Buddy Rich, Taranath Rao ~ 1968, Los Angeles. 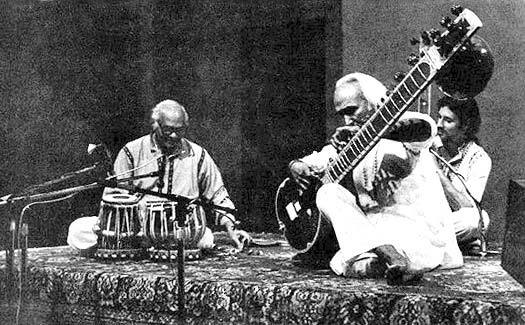 Pandit Nodu Mullick (right) was an expert craftsman who created and maintained the sitars Pandit Ravi Shankar performed on. ~ 1979. 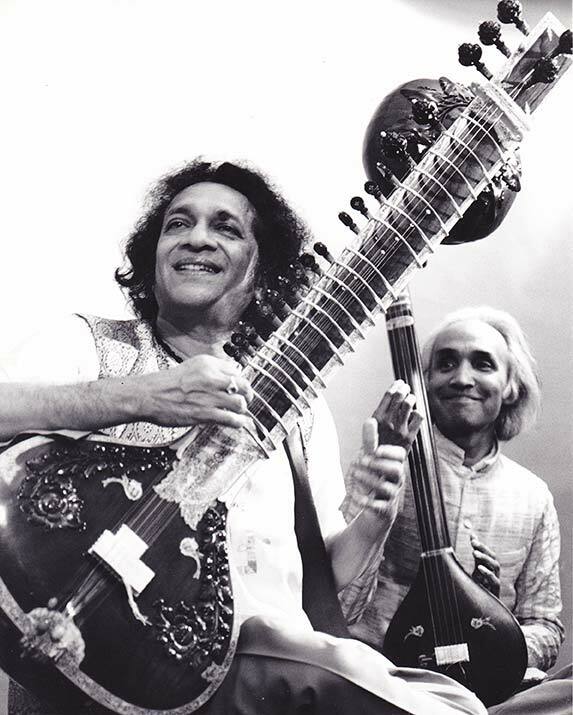 Amiya performing with his guruji, Pt. Ravi Shankar. Amiya performing with Gregg Johnson, disciple of Pt. Taranath Rao at CalArts ~ 1979. David Philipson - tanpura. 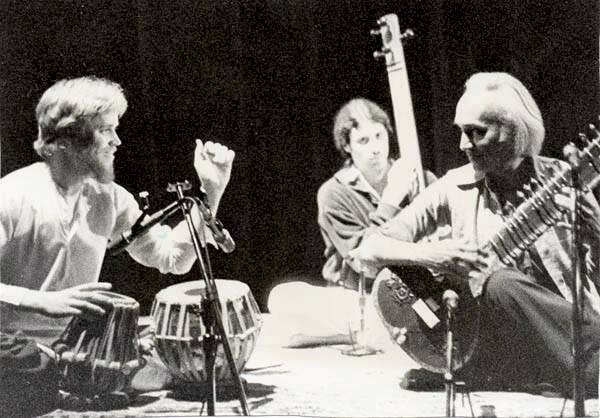 Prof. Amiya Dasgupta performing with his longtime friend and colleague, Pt. Taranath Rao at CalArts ~ 1983. David Philipson - tanpura. 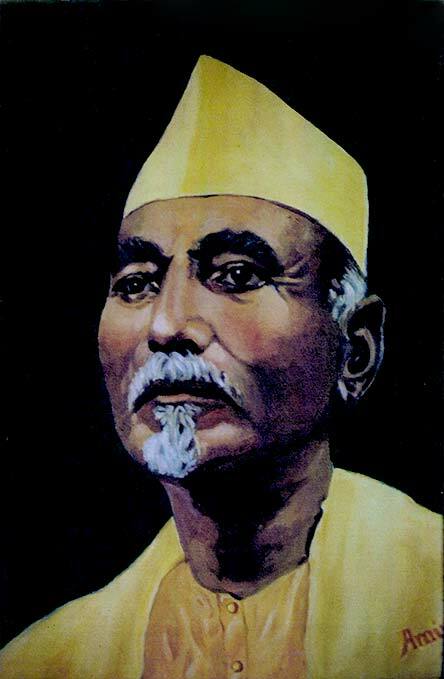 A painting by Amiya Dasgupta of his grand-guru Ustad Allauddin Khan. Amiya in his classroom at CalArts ~ 1990's.